A smile should exude confidence, health, and happiness. 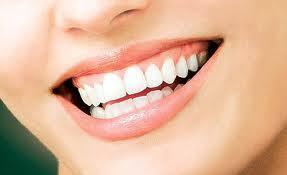 Perception of your emotional and physical health is influenced by your smile. What does your smile say? If a smile is worth a thousand words, make sure it tells the message you want. Your mouth is the window to your body and it gives many subtle hints to your age, stress level, and overall health. That is why maintaining your oral health is critical. One of the easiest symptoms to observe in the mouth is STRESS! People just love to clench and grind when they are under a ton of stress. Stress leaves subtle signs like worn teeth, which ages your looks prematurely. A dry mouth or lack of saliva also can occur under chronic stress. Look at your tongue. Is it nice and smooth or does it look like a dried up lake bed with cracks and crevices? Saliva is your body’s natural way of protecting itself from cavities. Without enough you will become more susceptible to cavities, infections, and periodontal disease. Everyday science is uncovering more and more direct links of periodontal disease with cardiovascular disease, strokes, and diabetes. You may not be concerned about losing one of your 32 teeth, but when tooth infections affect your one and only heart, you just might change your mind.